CleanCut won a 2014 Bronze Medical Design Excellence Award for its DISK. 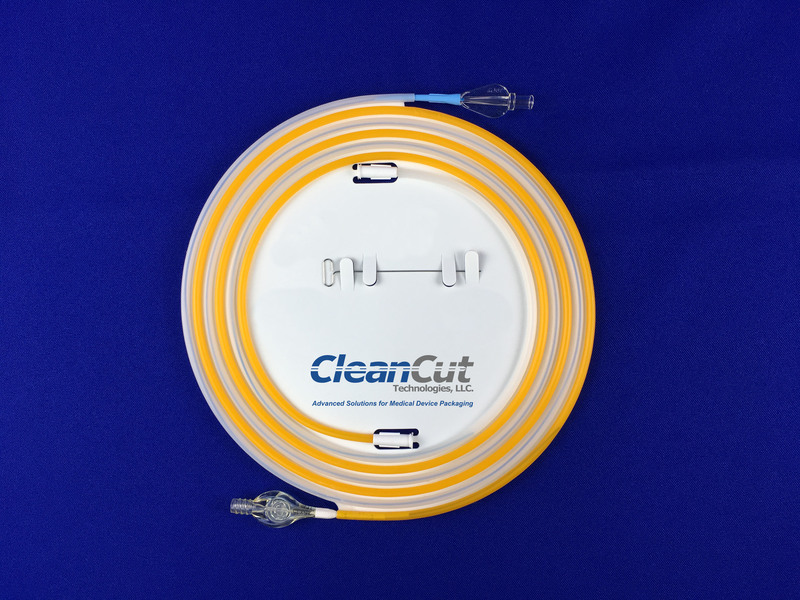 It recently expanded the DISK platform with the Dual Hoop Catheter DISK (shown below) featuring a second clipless dispenser for holding a second catheter. “These clipless dispensers offer distinctive advantages,” said Benevento. Above: The Dual Hoop Catheter DISK featuring a second clipless dispenser for holding a second catheter. Benevento added that the acquisition will give global customers access to CleanCut’s product lines, and for companies concerned about redundancy, Oliver will replicate CleanCut’s capabilities at more than one site. “We are thrilled to extend a warm welcome to the entire CleanCut team,” added Benevento in the statement. For more details, visit Oliver Healthcare Packaging (Booth #2038) and CleanCut Technologies (Booth #1566) at MD&M West 2019 February 5-7.